An average investor assumes that choosing a savings account is the easiest financial decision. After all, traditional wisdom says that savings account are not meant to earn, but only to be used as a convenience account which will earn just enough to cover the rate of inflation. However, not any more. Time has changed after deregulation of interest rates on savings account. RBI has allowed banks to fix their own savings account interest rate and done away with the regulated savings account interest rate of 4%. This change has enabled new banks to offer high interest rates on savings account along with a large range of attractive features and services such as zero minimum balance account, free debit cards, online and mobile banking facility with attractive offers and cashback. 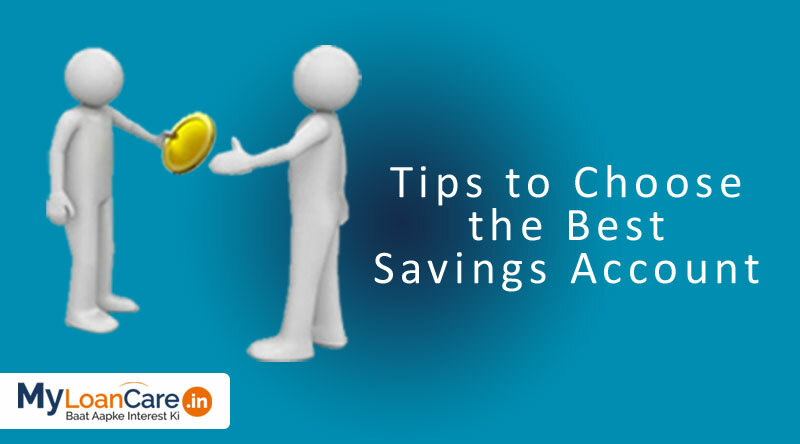 It is important to compare the savings account offers of various banks on several products before choosing the best savings account for yourself. Interest Rate – Historically, interest rate on savings has been very low as compared to other investment schemes. However, today many new private sector banks such as DBS Bank, IDFC Bank, Kotak Bank, Bandhan Bank offer high interest rates of up to 7% on savings account. Minimum Account Balance – Minimum account balance requirements burdens the depositor in terms of keeping aside a certain amount of money as minimum balance. Some banks today offer zero balance saving account, while others have a minimum balance requirement of Rs. 5,000 and above. Free Debit Card and ATM Withdrawals – Banks also launch attractive savings account offers such as free debit cards with unlimited withdrawal facility. While some banks offer this as a lifetime free card, for some banks the card is free only for the first year. Online Services – Most of the banks offer online recharge, bill payments, fund transfer, mobile transfers for inter account transactions. Though the services offered are the same, there may be minor differences in terms of functionalities, services and customer friendliness which may make one savings account better than others. Special offers – Banks offer special discounts and offers on savings accounts such as annual fee waiver, cashback, discounts on movie tickets and shopping, add on accounts and insurance coverage. These offers may make these accounts more attractive for account holders based on their spending patterns.